The Arlberg is the “Off Piste and Freeriding Mekka” in Europe and for sure one of the top resorts worldwide. We know this place like the back of our hand and we are happy to show you our secret spots. St.Anton offers such a broad variety of off-piste possibilities we can guarantee to find itineraries under any circumstances for any ski level. 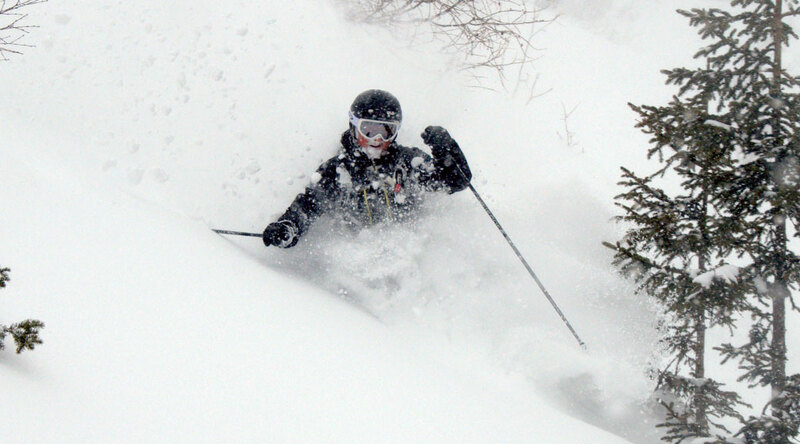 So even in bad weather you could have the best day out skiing with us. The first thing we have in mind is your safety. We will always choose the runs we ski with you under consideration of the avalanche grade and your skiing abilities. Depending on your abilities you get a good mixture in between guiding and instruction. So when you are beginner in off piste skiing, we will make sure you improve with us. It doesn’t matter, if it is your first ski tour ever or if you are already an experienced ski mountaineer. The Arlberg offers endless back country opportunities for everyone. Photo on the very top by Robert Aldin: Guide Paul Held getting face shots in “Schöngraben/Kapall”.